Hope and despair are not opposites. They are cut from the very same cloth, made from the very same material, shaped from the very same circumstances. Every life finds itself forced to choose one from the other, one day at a time, one circumstance after another. By losing everything, we come to the realization that everything is far less than we think it is and far more than we ever dreamed it could be. In the end, everything is what cannot be taken away, what cannot be lost, what will not fail us in our hope. Everything is the nagging awareness that always there is more and that I already have it. I am reduced by misery to stop and look through the darkness to the light on the horizon that never changes. Darkness becomes the incubator of light. How am I just now discovering Sister Joan D. Chittister!?! 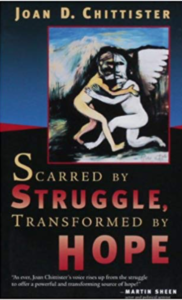 Toward the end of last week I picked up Scarred by Struggle, Transformed by Hope and flew through it. Her words resonate with my experience and I could not read fast enough. I made so many #notestoself. I am eager to get more of her work, and learn from her. If God speaks anywhere, it is into our personal lives that he speaks. 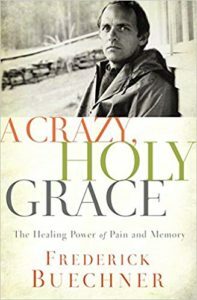 A Crazy, Holy Grace is a solid compilation of my favorite Buechner themes. While we may wish for a clear, perspicuous text, that’s not what God gave us. Instead, God gave us a cacophony of vices and perspectives, all in conversation with one another, representing the breadth and depth of the human experience in all its complexities and contradictions. In the Bible, wisdom is rarely presented as a single decision, belief, or rule, but rather as a “way” or “path” that the sojourner must continually discern amid the twists and turns of life. I was once challenged to sum it (the gospel) up in a tweet. But it strikes me as fruitless to try and turn the gospel into a statement when God so clearly gave us a story – or more precisely, a person. Indeed, in Scripture, no two people encounter Jesus in exactly the same way. Not once does anyone pray the “Sinner’s Prayer” or ask Jesus into their heart…..The gospel is like a mosaic of stories, each one part of a larger story, yet beautiful and truthful on its own. There’s no formula. No blueprint. I’ve followed Rachel Held Evans for a long time now, but never actually read one of her books. I’ve started, but not finished. Until this one. 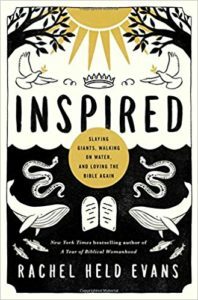 Inspired: Slaying Giants, Walking on Water, and Loving the Bible Again was exactly what I needed right now. ….It’s like how perennial plants seem to die in the winter, but really, they’re just waiting till everything is alright again. Maybe it’s not such a surprise that there’s strength in the cold. Maybe sometimes the strongest thing of all is knowing that one day you’ll be all right again, and waiting and waiting until you can come out into the sun. 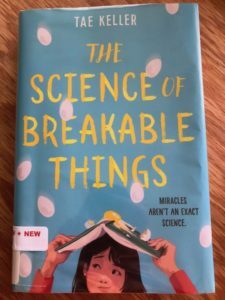 I really really liked this story for 2/3 of my read through and then it took me on a plot trail I didn’t think fit so well, but it’s a great book for the themes of hope and mental health and science and miracles, and I think most of all – friendship. I filled my library hold list (and Ryan’s, but don’t tell him). 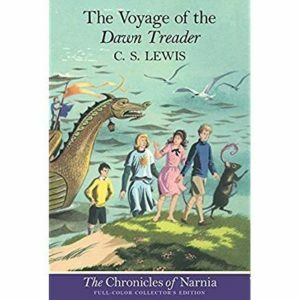 It’s been a long time since I’d read this classic. As we listened to it, I found myself thinking down some trails – thoughts for another post (or two) to come…..Stuff on the dog wanting disease. And also on prayer. Not the same post, but perhaps. 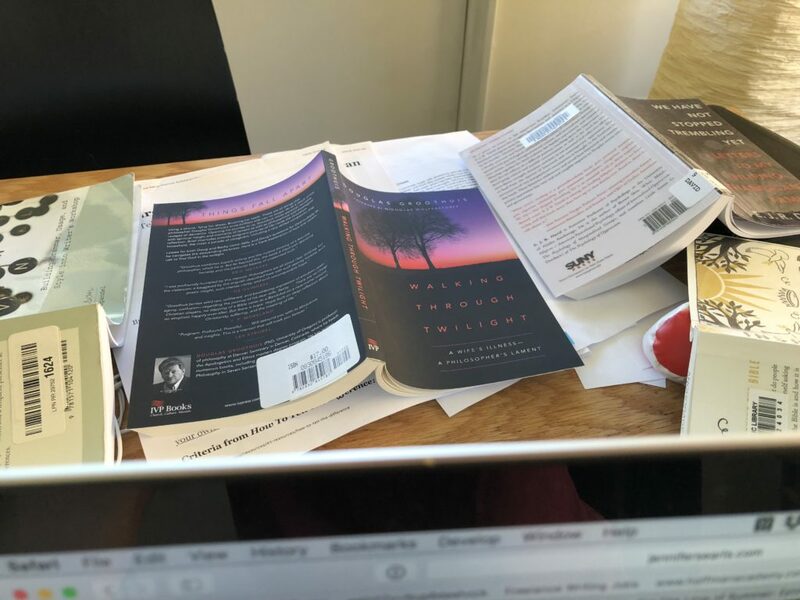 But for now, this >> when I did a quick google search to doublecheck my spelling of Rawls, I saw a post by educator, author, and read aloud expert, Jim Trelease that caught my eye. I clicked and there learned that Rawls burned his original manuscript for this story, only rewriting it at his wife’s urging. (She then pursued its publication.) Intrigued, I read on and, among other things, discovered a 5 part video series that Trelease posted to share Wilson Rawl’s Dreams Can Come True speech. It traces Rawl’s journey “from the poor dirt farm in Oklahoma Cherokee nation to the status of celebrity author.” If you have time and interest you might enjoy the link trails – the Trelease post above and the video links below. Despite all his flaws, Marley had given us a gift that no amount of money could buy. He gave us the gift of total, complete love. He taught us how to give it and how to accept it. Oh Marley. A dog like no other, and yet so very much like a dog we know and dearly love. 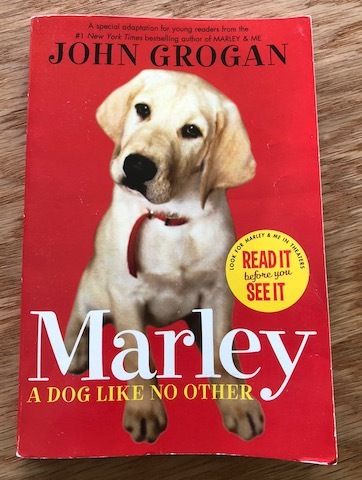 We know this Marley story well. The boys have loved it since they first saw the movie. Ethan learned to read with Marley books. And they’ve read this version a number of times. Now that we have a house and a yard again….the boys are convinced a dog is next. With that in mind, they proposed we read this together. We did. And I cried through the last couple chapters. 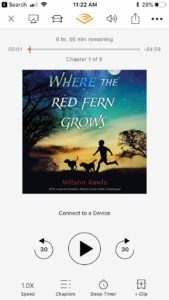 Having survived that….it occurs to me that I could finally manage to read them Where the Red Fern Grows. Next up.